SAN ANTONIO – Brother Jose Castillo and Sister Gisela Castillo accompany their son, Angel N. Castillo, to the altar following our Sunday school. 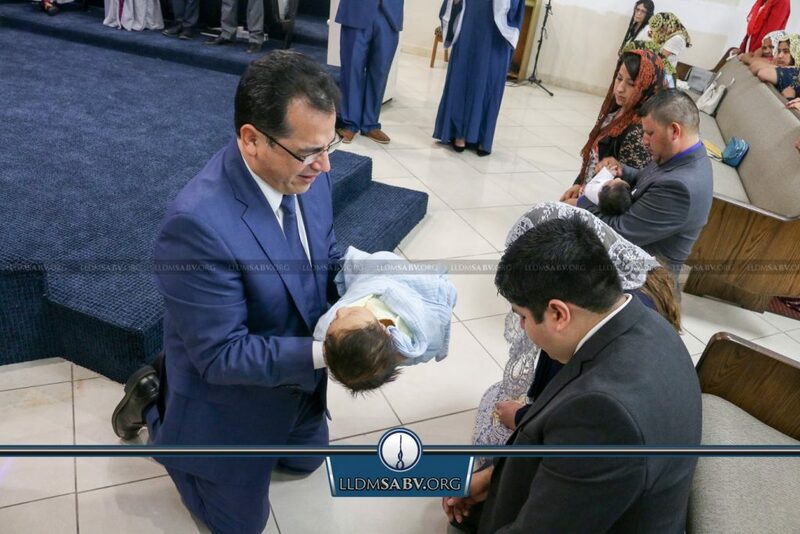 Newborn brother, Ezequiel E. Fuentes, is presented to God after the Sunday school sermon. He is brought to the altar by his parents, Brother Julio Fuentes and Sister Maria Fuentes. May our Savior Jesus Christ continue to bless these families!